I’ve been checking out parts lists and prices for DIY CNC routers. After some research, I’ve decided to convert my Prusa Mendel i2 to a small, very cheap CNC engraver, So I could get a feel for them and work out if it would be worth making a full size one. Below is what I had to work with. You may notice the extra braces on the top corners – the green parts. 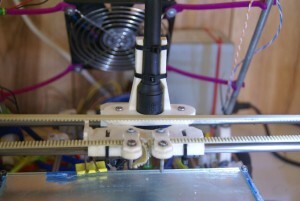 There is other extra supports on the board it’s screwed on to, to make it more ridged than usual. 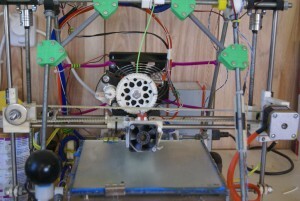 Basic Prusa Mendel i2 with stability mods. 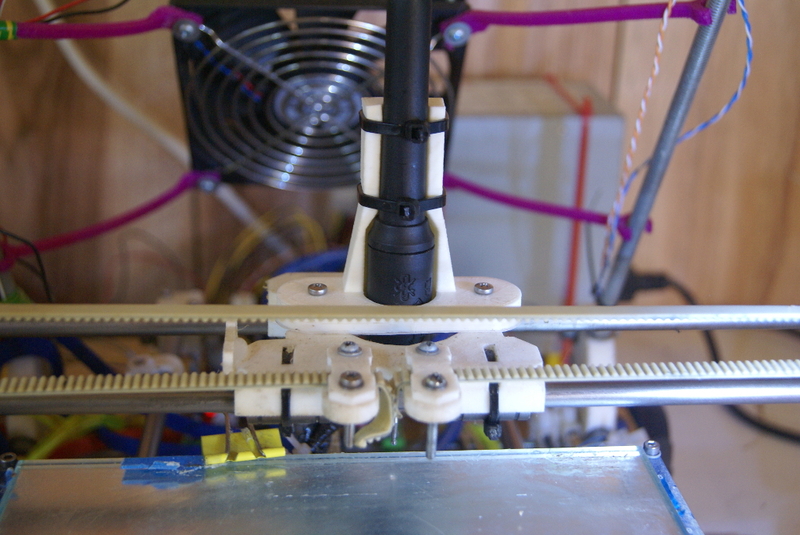 Ozito flexi shaft extruder mount. I did a test print @ 20% fill and 1 perimeter, but it wasn’t strong enough. So I changed it to 70% fill – Excessive? No, when using the 20% fill, the flexi shaft had too much movement. 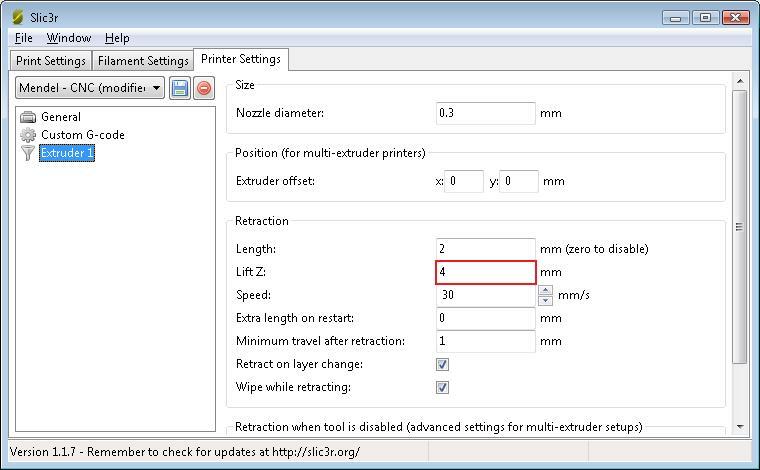 The way a CNC router works is the reverse of the way most 3D additive printers work. Mainly – a CNC router usually cuts an object from a larger material and starts from the top. 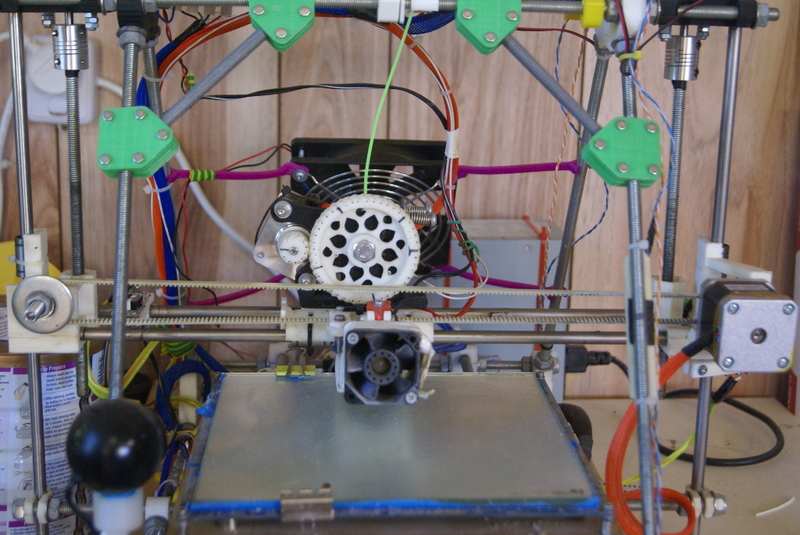 3D additive printers build the objects form the bottom. 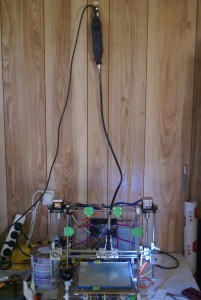 The printer needs the Z axis reversed to be of any use. Rather than recompiling the Sanguinololu firmware (the controller I’m using), I chose a simple software mod that should have similar a affect. I did have to recompile the firmware later to get the eeprom to work. Lift Z should be higher than the depth of your deepest cut. Now to reverse the Z Axis: Config, Printer Settings, tick “Invert Directions in Controls for” Z-Axis. 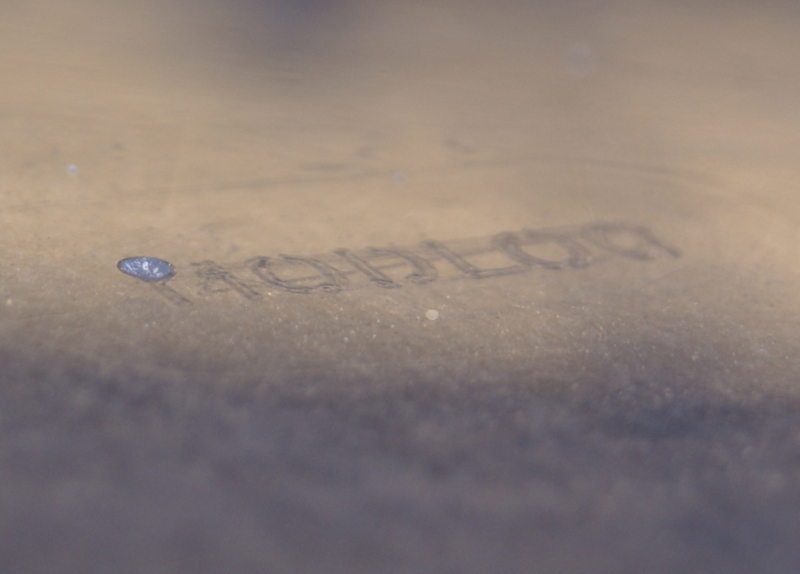 This will only work when engraving or cutting basic shapes with 90 degree sides. First test – too high. Forth Test – Getting better. You cant cut panels, unless you create inverted objects, remember the software still thinks it’s building the object, not cutting it out from around the external edges. 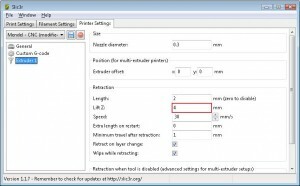 Repetier-Host and Slic3r weren’t made for this. Still looking for an alternative, that is as easy to use. Tool changing could be a little easier. I’ve not used Lift-Z before so I’m having issues where it tries to move too quickly, and all I get it a small amount of motion and the motors buzzing (missing steps). Still looking for the solution. This forum post looks to be the answer. Fixed by adding custom G-Code to Slic3r: “M203 X500 Y500 Z5 E25” which it does enforce, even though it’s the same values that are hard coded into the firmware. This is still a work in progress, and to get the most out of it, I’ll need different software. Took conversion off when I needed to print the fascia for the Internet Radio project. TBH it wasn’t the best anyway. 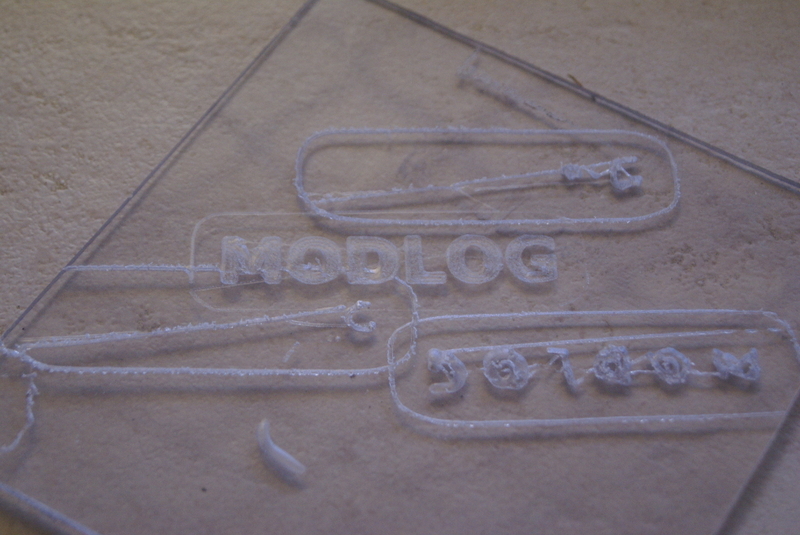 Had a few directional issues and perhaps rather than using Repetier-Host with Slic3r, maybe use Slic3r by itself. This entry was posted in 3D Printer, Arduino, General News, Hardware, Tech and tagged CNC, Dremel, i2, Prusa Mendel, Router by Kristian. Bookmark the permalink.